Not to mention our "b"s and "d"s! 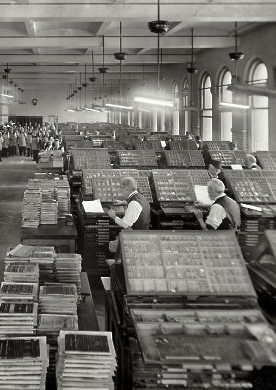 And here's another set of words from printing history ~ "uppercase" and "lowercase." 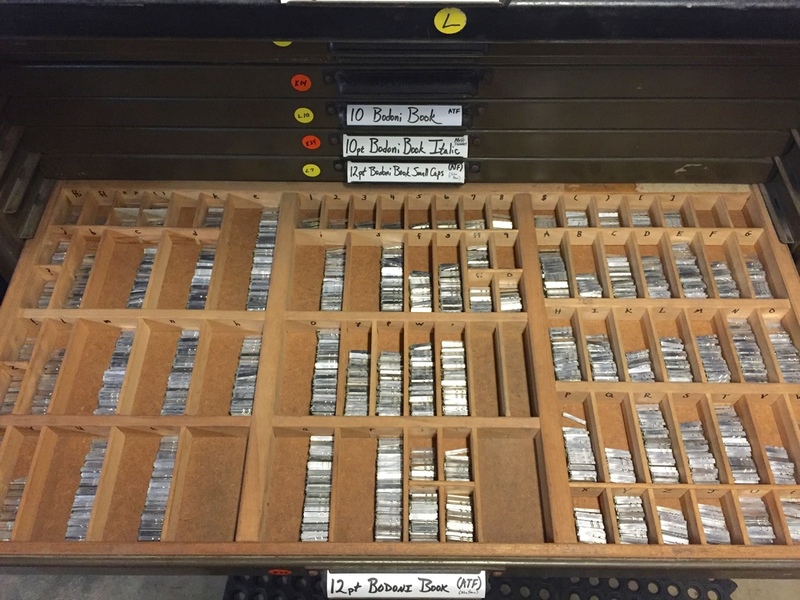 In traditional printing, the individual metal letters with which words and sentences are composed are stored in carefully organized drawers called cases. 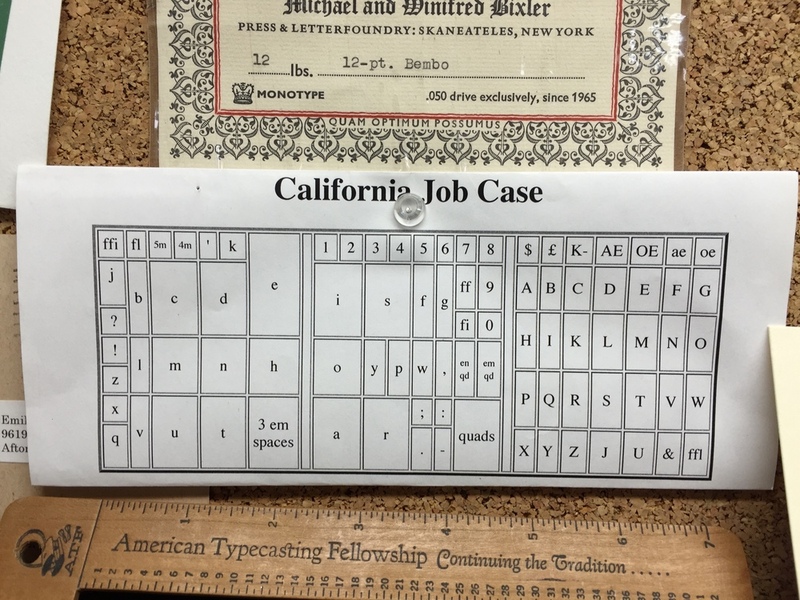 Originally, one case held all of the small letters and was positioned on a rack near the printer; another case held all of the larger letters, for the beginnings of sentences, titles, and such, and this case was placed in a rack immediately above the small-letter case. Thus was born "uppercase" and "lowercase." So there's our little dose of printing history for today. Now it's back to the Shop to set some type!